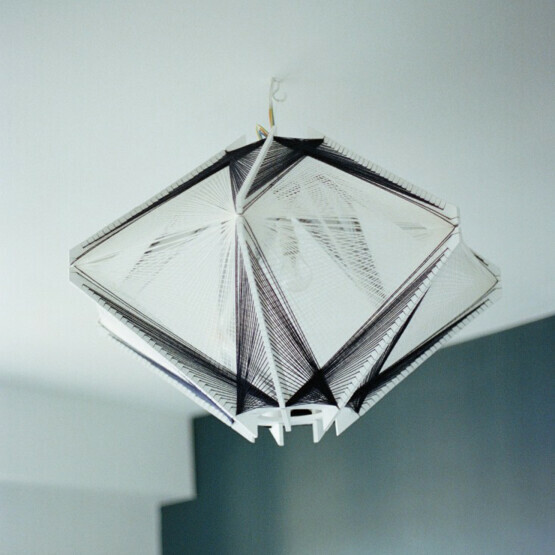 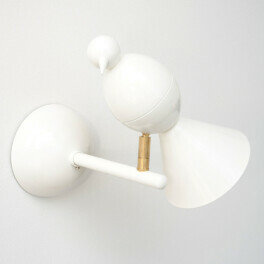 While known as a photographer through work for hip publications like Vice and Intro Magazine, the multitalented Julie Lansom creates each Sputnik Lamp by hand in her light, airy Parisian atelier. 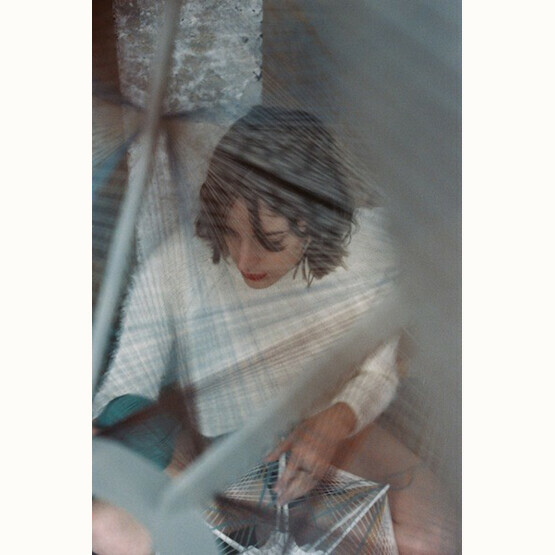 Drawing on an innate feeling for color, she carefully selects her palate of yarns, pulling each string taut around a geometric frame until a complex interwoven pattern emerges. 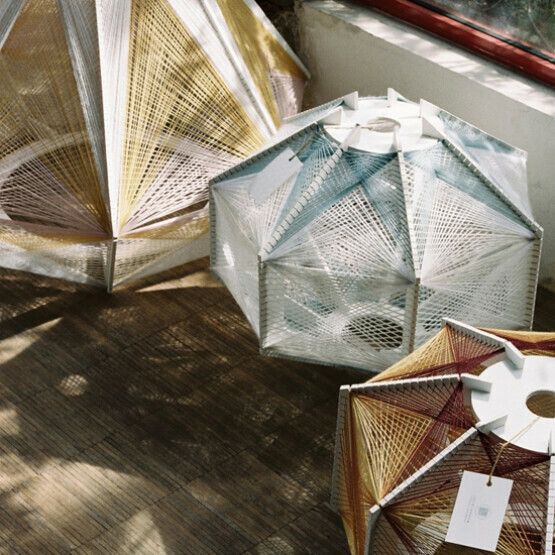 Concentrated, laborious, and tricky weaving results in these delicately graphic, semi-transparent lampshades. 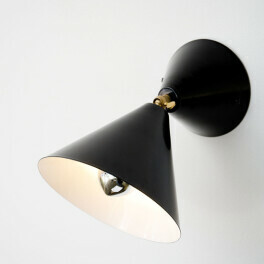 Whether hanging from the ceiling or standing on the floor, illuminated or not, these gorgeous creations have a serene and subtle allure, the international style press certainly went crazy for them when they were released earlier this year.